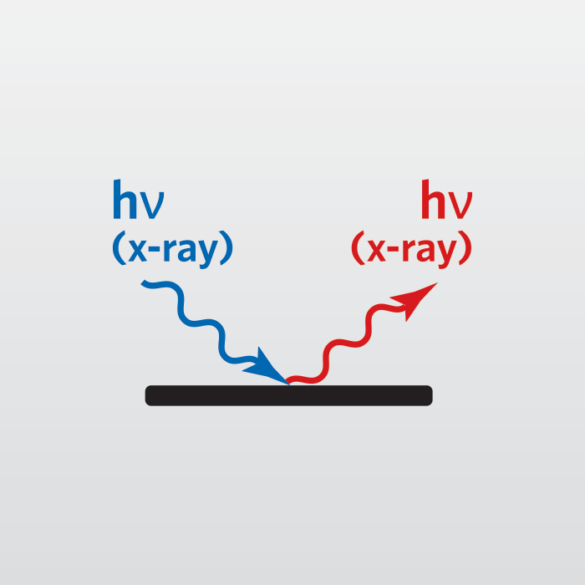 X-ray diffraction (XRD) is a powerful nondestructive technique for characterizing crystalline materials. It provides information on crystal structure, phase, preferred crystal orientation (texture), and other structural parameters, such as average grain size, crystallinity, strain, and crystal defects. X-ray diffraction peaks are produced by constructive interference of a monochromatic beam of X-rays diffracted at specific angles from each set of lattice planes in a sample. The peak intensities are determined by the distribution of atoms within the lattice. Consequently, the X-ray diffraction pattern is the fingerprint of the periodic atomic arrangements in a given material. A search of the ICDD (International Centre for Diffraction Data) database of X-ray diffraction patterns enables the phase identification of a large variety of crystalline samples. EAG’s multiple X-ray diffraction systems are equipped with optical modules that can be exchanged, depending on the analysis requirement, without affecting the accuracy of positioning. It is simple to change between line and point focus of the X-ray source, enabling simple switching from a regular XRD configuration to a high-resolution XRD configuration as needed. Different combinations of optical modules enable the analysis of powders, coatings, thin films, slurries, fabricated parts, or epitaxial films. EAG also has microdiffractometers with 2D area detectors for small spot (<50µm) XRD, providing good signal-to-noise even with small X-ray beam sizes. Read our application note: High Resolution X-Ray Diffraction (HR-XRD) Measurement of Compound Semiconductors for a discussion of how this method may be used to determine composition and thickness of compound semiconductors such as SiGe, AlGaAs, InGaAs, and other materials. Contact EAG Laboratories today at 800-366-3867 for a quote on XRD testing services.